The mission of the Timothy S.Y. Lam Foundation is to support research, education and training within the hospitality industry by bestowing scholarships and grants to those seeking careers or advancement in the hospitality industry; funding education programs that promote the hospitality industry; and awarding research grants to those interested in blending academia with practical industry know-how. Timothy S.Y. Lam had a wide range of interests; cooking, wines, entertaining, model trains, antiques, oil painting, photography, carpentry, wood sign carving, and so much more. Whichever the interest, he pursued it all the way. Tim visited every continent. Having been on 71 cruises and countless journeys, he was an adventurer. Through his travels from the Arctic to Antarctica and everywhere in between, he found one thing to be true; genuine and warm hospitality can truly make a difference. After a lifetime of exploration, Tim passed away in March 2012. In the same month of Tim’s passing, the Timothy S.Y. Lam Foundation (TSYLF) registered with the IRS and the State of Nevada. In lieu of flowers, family and friends were asked to donate to a scholarship fund. More money than expected was given. It was decided to establish a Board of Trustees to give research grants and fund educational programs in addition to education scholarships. In May 2014, TSYLF was officially designated a nonprofit private foundation as described in sections 501(c)(3) and 509(a) by the IRS (EIN 45-4735106). In 2012 and 2013, $2,500 in scholarships and grants were made by TSYLF—but the board wished to do more. The Board of Trustees hired a part-time Foundation Manager in July 2014. In just a few short months, TSYLF has grown partnerships with the National Association for Catering and Events (NACE), the Events Industry Council (EIC), and The International School of Hospitality (TISOH). The following years, the Board of Trustees were expended to its current form. Scholarships awarded number over 80. Key associations that have received support include the EIC, Les Clefs d'Or, the International Live Events Association (ILEA), the National Association for Catering & Events (NACE), the Wedding International Professionals Association (WIPA), the Nevada Hotel & Lodging Association (NHLA), the Southern Nevada Hotel Concierge Association (SNHCA), the National Concierge Association (NCA) and others. The Foundation works to grow its giving programs; foster relationships with individuals, educational institutions, professional associations and companies in the hospitality industry; and find new avenues of funding and fundraising. 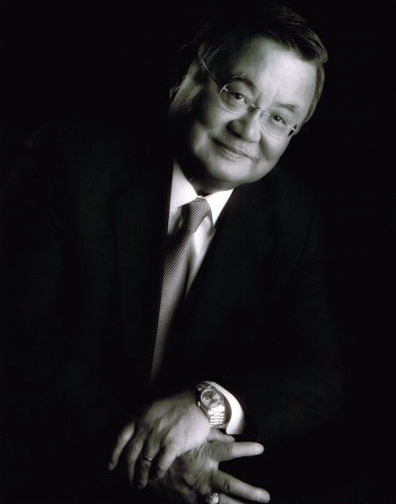 The foundation Board of Trustees and the Foundation Director want to ensure the continuation of Timothy S Y Lam’s legacy by supporting the professional development and academic advancement of the hospitality industry.